The brief was to invent a character with a Yorkshire theme to appeal to children with speech difficulties. Talking Tyke was born and he’s appeared on all of their social media and printed communication since then! 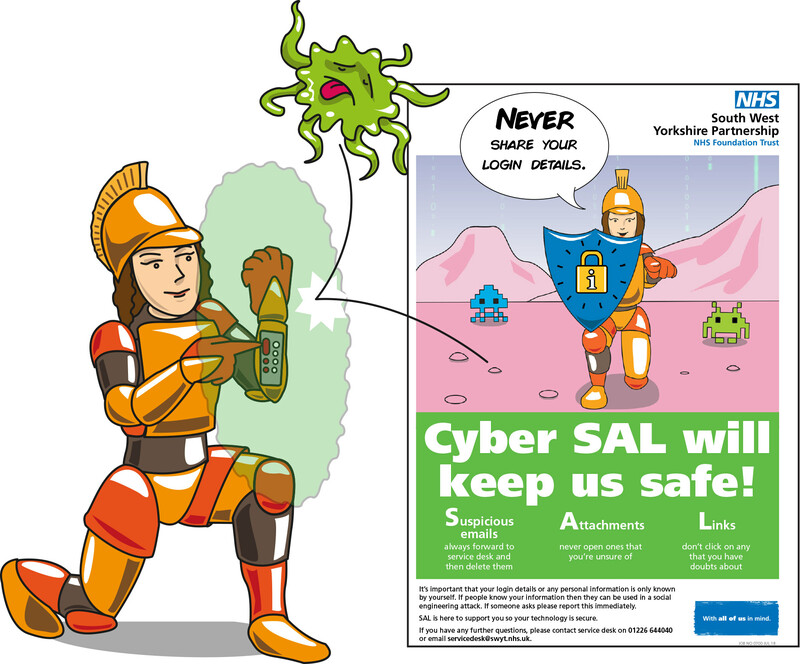 Cyber Sal is used across the South West Yorkshire Partnership NHS Trust to create awareness about cyber attacks and data protection. I invented a futuristic knight that would do battle with viruses across the digital world.